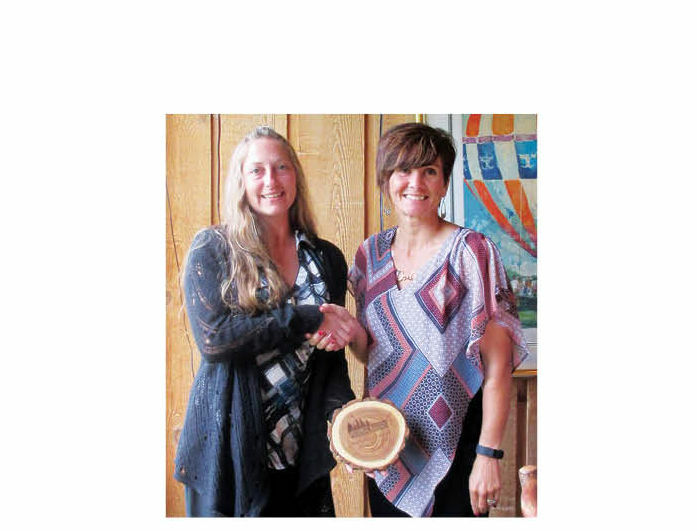 The Northwest Wisconsin Workforce Investment Board, Inc. (NWWIB) recently presented Reclaimed Rustic Woodworks, Inc. with the Rising Star award. Jeannie Felix of Reclaimed Rustic Woodworks, INC. accepted the award at the NWWIB’s Annual Meeting at Lakewoods Resort in Cable. The award recognizes outstanding commitment and dedication to building their workforce. Established in 2008, Reclaimed Rustic Woodworks in Phillips re-purposes wood from barns and other structures across the United States into handmade specialty furniture. The owners behind had a vision of saving part of our American Heritage and turning it into something beautiful.